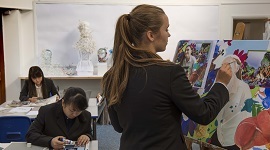 At Kent College Canterbury your child benefits from small class sizes, varied educational opportunities and a wide range of extra curricular activities. This not only prepares them for public examinations, but also gives them the confidence to achieve success throughout their adult lives. 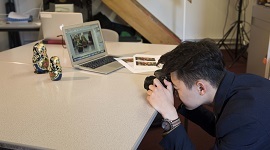 Enriching students knowledge and skills in art, craft and design; through drawing, painting, printmaking, 3D work, mixed media and digital imaging and photography. 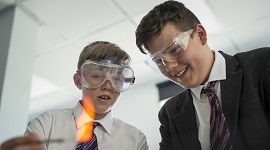 Well equipped labs and excellent technical assistance enable practical work to play a large part in the learning as pupils investigate the scientific questions. An experienced, skilful and dynamic group of teachers provide an education designed to meet the changing needs of modern business and the global economy. Incorporates the advanced Chemistry associated with higher level institutions, including explosions, CSI investigations, colours and toxins. 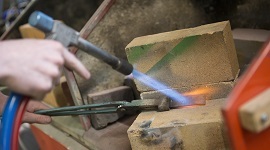 Developing creative and practical skills in a variety of specialisms including architecture, product design, graphic communication, CAD/CAM and traditional craft skills. Students gain a variety of transferable skills, ranging from decision-making to team-building and innovative thinking, which enhances their confidence and creativity. Projects bringing together the different disciplines of Media, ICT, Art and Music under the banner of Media, combining different software, techniques and skills. Studies the most important and interesting problems facing us as citizens of the world. To gain practical understanding, students benefit from national and international trips. 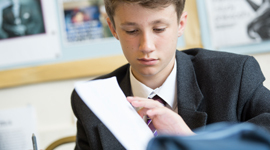 Pupils learn to read and write on a variety of topics, as well as completing various oral tasks. They are introduced to Shakespeare and study a range of high quality literature. 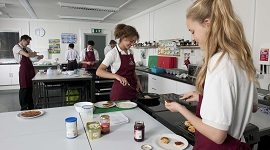 Students are encouraged to experience a range of ingredients, from sweet to savoury, and explore different cooking techniques to gain confidence with this vital life skill. 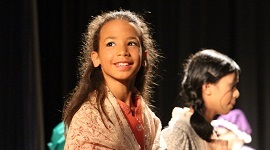 A vibrant environment, encouraging both foreign language skills and cultural awareness. 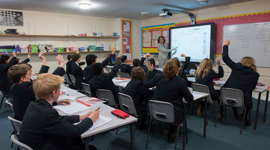 Pupils are well-equipped to communicate with confidence and accuracy. 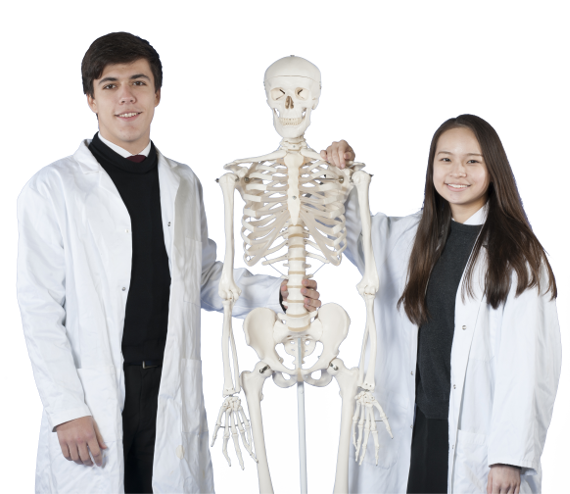 A dynamic and well resourced department that offers practical ‘out of the classroom’ learning, with field trips that enhance understanding of the topics taught. 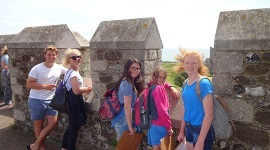 Students are encouraged to think for themselves, and are introduced to different historical interpretations of the past through a range of field trips and project work. 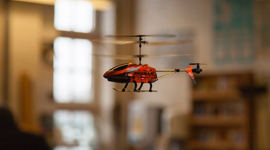 Providing the latest technology to improve learning, enhance personal lives and remain safe, to foster an environment of exploring new software and extending capabilities. 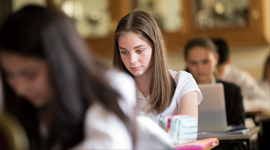 A supportive environment with tailored programmes that can be implemented to help every student as an individual, and a challenging curriculum for the more able. 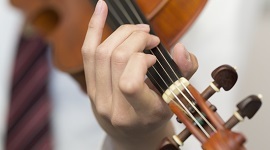 A renowned music department with exceptional facilities offers a broad range of opportunity to pupils of all abilities in a positive and vibrant environment. We provide a vast array of sports and activities for pupils to experience, catering for both elite and recreational athletes in our state-of-the-art facilities. Benefit from three well-equipped laboratories and a dynamic teaching team providing skills, knowledge and invaluable preparation for a career in related fields. In this high profile subject, students get involved in debating and join regular visits to the Houses of Parliament, where they meet MPs and Members of the Lords. 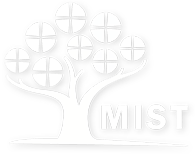 Enhances thinking skills, analytical thought and independent learning, equipping students with highly marketable qualities for further education and employment. 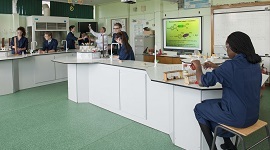 Excellent laboratory facilities enable a variety of teaching approaches for practical and investigative work, catering for the needs and interests of individual pupils. 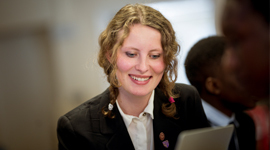 Known for their enthusiasm for their subject, our German language teachers have the expertise and the determination to ensure that pupils maximise their potential. 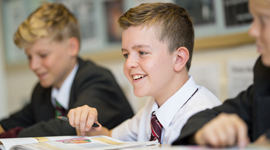 With an emphasis on communication, the importance of grammar remains high on the agenda, so the pupils are well-equipped to communicate with confidence and accuracy. 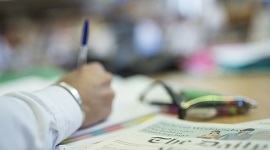 Want to know more about the subjects we offer?